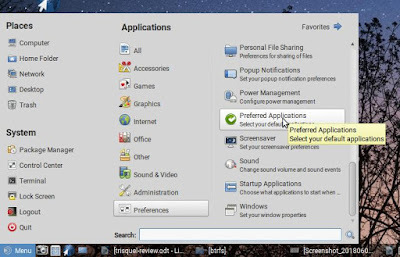 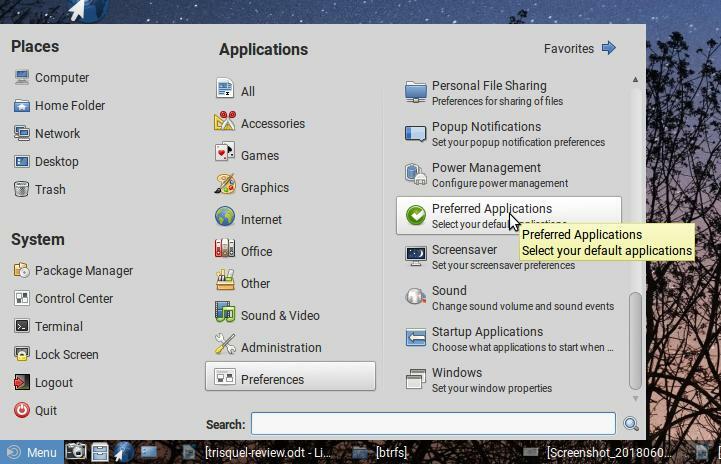 Changing the rule to open a type of file with certain application is easy on Trisquel 8.0 operating system. You can particularly change the association of each file type (MP3, ZIP, etc.) with application you choose. 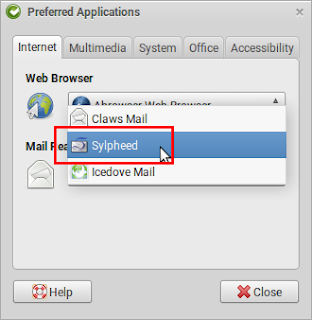 Furthermore, you can also change your default browser, mail client, . 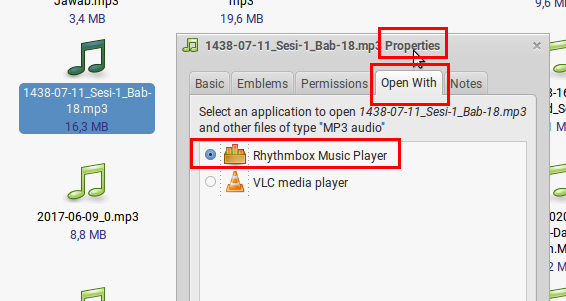 First, for example, you want MP3 to be opened always with Rhythmbox instead of VLC (because by default it’s VLC): right-click on an MP3 file > Properties > Open With > select Rhythmbox from selection > close. 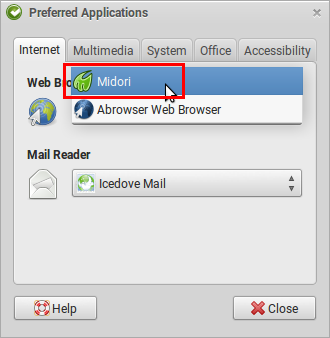 Second, if you want to change the default browser, for example you have alternatives between Abrowser and Midori (lightweight browser) and you want the latter instead, then go to desktop menu > Preferences > Preferred Applications > Internet tab > change Web browser: to Midori.